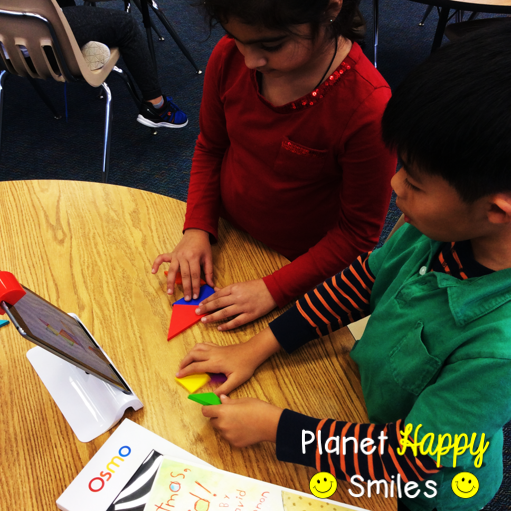 Planet Happy Smiles: OSMO is Out-of-this-World! 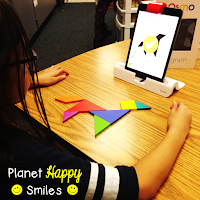 Have you seen or used an Osmo? If you already own one, I am sure you LOVE it! If not, read on to find out why I LOVE it for my students. 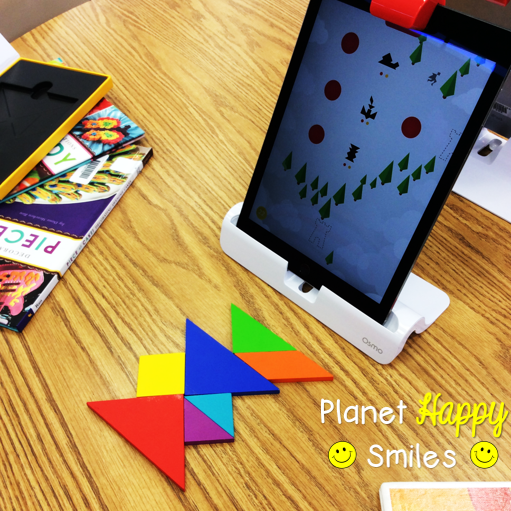 Osmo provides hands-on materials to use with your iPad. 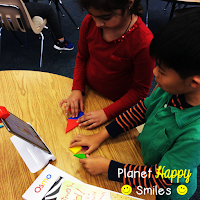 The students really enjoy the variety of games you can purchase to go with the Osmo. Here are some of my students using the tangrams! 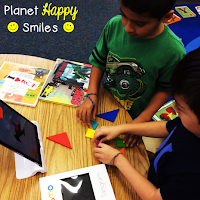 They are really excited to make the tangrams match the screen. Once they match it correctly they will receive a check mark. One of our little boys LOVES the coding so much and he asks to use it daily! 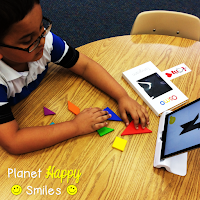 He really enjoys creating codes and he is beginning to understand coding so much better because of the system! I purchased the Osmo Genius Kit for the variety it offers. 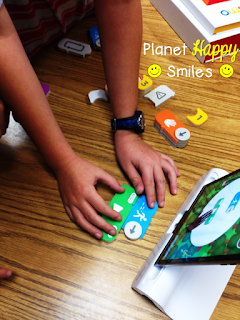 It has several games I use in the classroom. 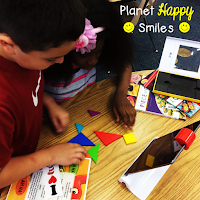 Here are a few of the sets I have found to be fun and students are very engaged with them! *Note: We do not receive any compensation from Osmo. We just love their products! We hope you LOVE Osmo as much as we do!